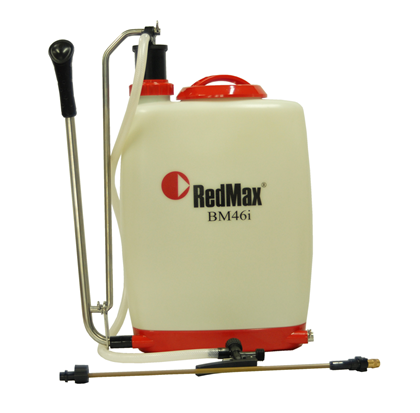 BM46I Professional Backpack Sprayer - Marina Inc.
RedMax offers premium commercial-duty sprayers that can handle the most demanding conditions. The patented tank design makes these units the most comfortable and ergonomic tanks on the market. The patented lid design, which screws down into the tank, eliminates leaks from damage to exposed threads, and with the larger opening filling is fast and easy. 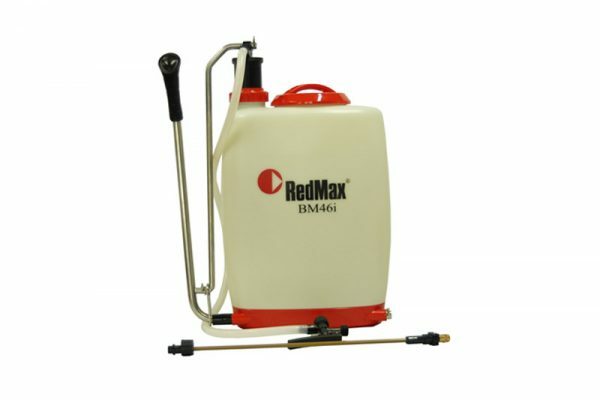 RedMax sprayers utilize high-pressure piston pumps as well as diaphragm pumps that provide lower pressures than other brands. 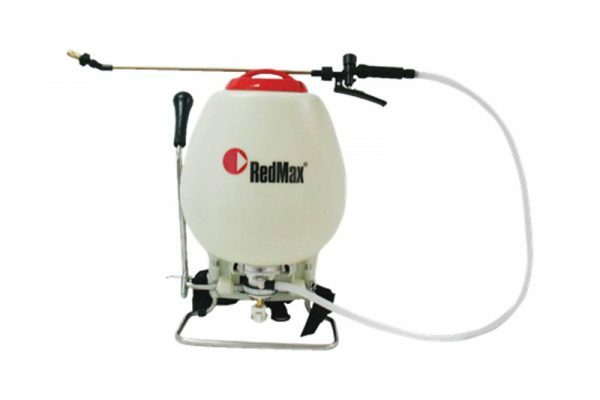 By comparison, RedMax sprayers will spray up to 25 feet. All units include premium spray pistols with brass shut-off valves and the highest grade Viton and Nitrle o-rings and seals. All models feature ergonomically-designed stainless steel pump handles as well as brass spraying wands and nozzles to enhance user comfort over extended periods of time. All models feature thick-walled, heavy-duty virgin polyethylene tanks that are UV-stabilized extending life for years of service in sunlight. All models are 100% factory-tested for quality assurance. 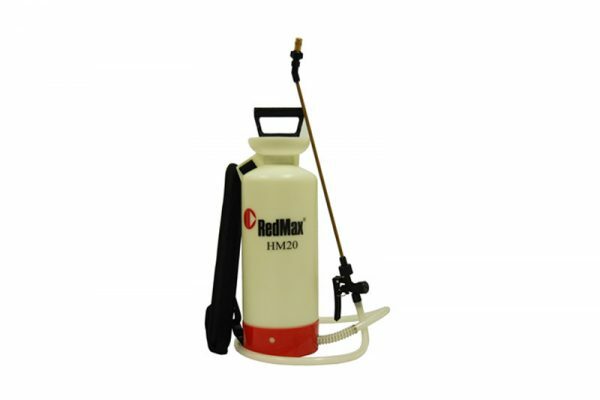 RedMax sprayers are reliable and versatile enough for any size job, from small plant maintenance, to rights of way spraying, pest control applications.